This was taken in Paris, at Place du Tetre, late in 1985. I suspect the scene is much the same today. But with more piercings and tattoos. I entered some images in an online competition. There's a sucker born every minute. That's a beautiful image, an example of why some people still love film. Very nice shot. 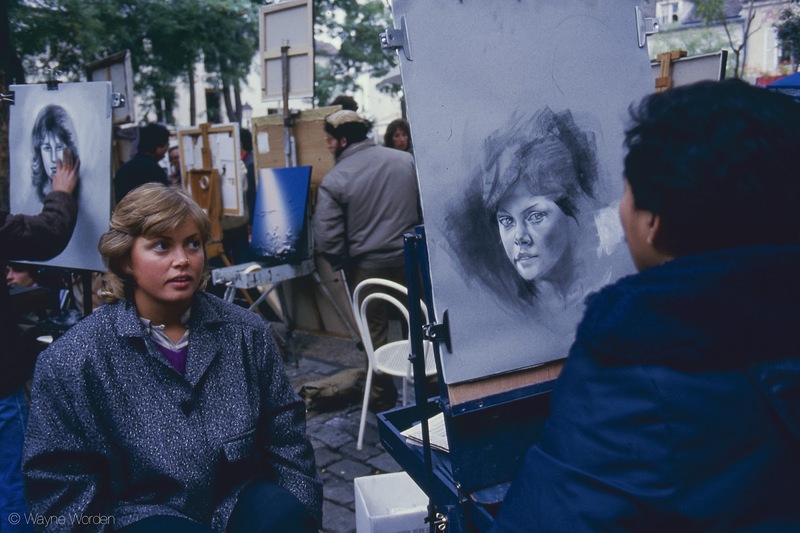 I remember in Old Montreal, a side street that has a bunch of artists that do this very thing, drawing portraits.